A resume format is a way how your work experience is listed. At first gaze, it seems to be that this information means nothing but you are mistaken. Employers offering well-paid jobs take into consideration even the most inconspicuous details. So, the way how you list your work experience really matters. So, creating your first resume, you can use lots of resume formats. There are around 10 types of them. Yet still, only three of them are the most widely used ones. Its main characteristic feature is that people list their skills, accomplishments and experience in the chronological order. Every job position is written in a special place with specific details. Mostly, everything is presented in a bullet-point format. Nevertheless, you shouldn’t use this method if you have too long gaps in employment. The prime objective of this resume format is to concentrate on what you can really do instead of listing your previous experience. The list of your skills is in the center of attention. As a rule, those individuals who decided to change their careers or those who couldn’t work for a definite time period can use this resume format. It is perfect for those job positions that are based on skills more than on experience. Makes gaps in employment imperceptible. It is worth noting that this format is used even more often than the previous one. Mostly, employers are interested in the information about benefits they will get after hiring you! This is a specific mixture of the previous two formats. It is used in the situation when you need to mention the information about your work experience and show what you can do for this company. An ideal solution for a person who has many relevant skills. We hope that this information will help you determine which resume format will be effective in your particular case. As you see, too much depends on your working skills, experience, accomplishments and a job position you want to get. 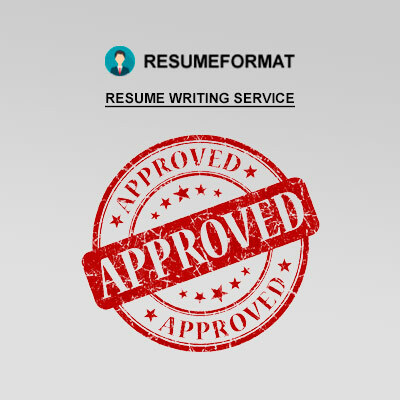 If you need one of the above-mentioned resume formats to be written, welcome to ResumeFormat 2015. We’ll find a winning solution for you!